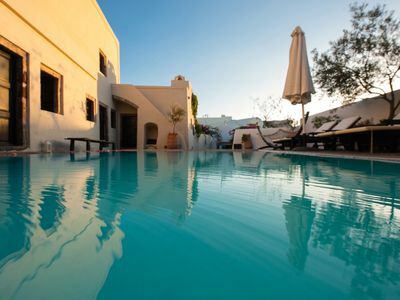 Villa Nina is the spot for a couple looking for a romantic and peaceful break away,or a family,whilst beeing close to the village of Glossa with its tavernas and shops, cafe,bars and night life,only 5 min. 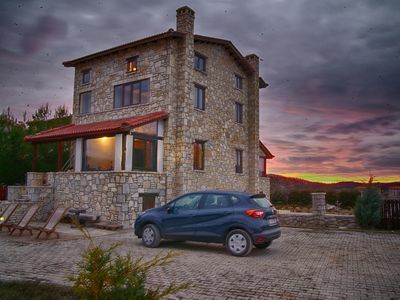 drive along the country lane. 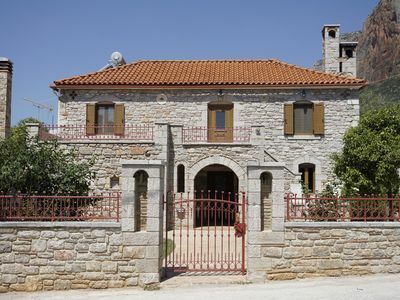 It is a beautiful traditionaly built property with views of Agios Yannis(the famous church on the rock which was featured in the film ''Mamma Mia''). 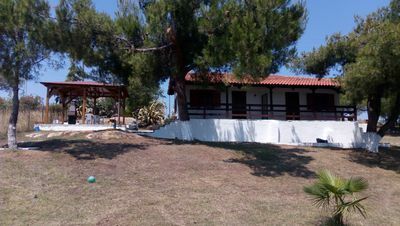 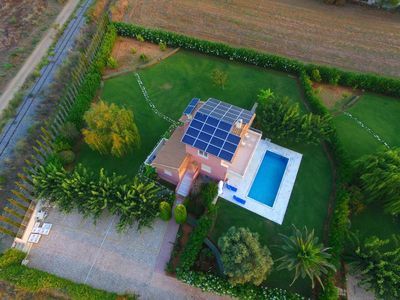 It is also close to the beautiful beaches of Hondrogiorgos and Perivoliou and it set in spectacular countryside with marvelous views across the marine park to the north and to the east to the island of Alonissos.. 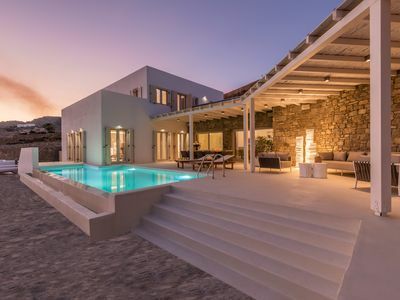 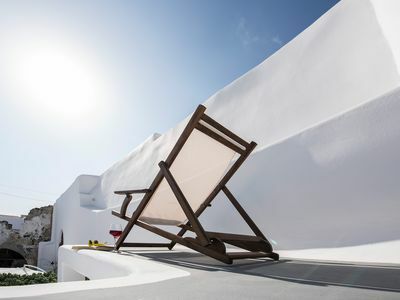 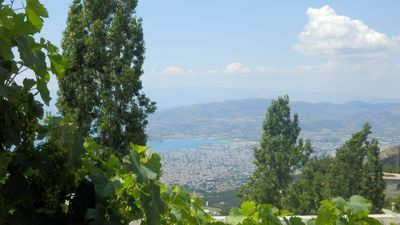 The house comprises of a large double bedroom upstairs with air contitioning,an en-suite bathroom also and lots of balconies and terraces where a glass of wine and the magnificent view of Eagean make the nights special. 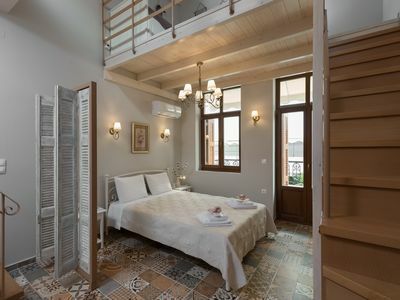 Downstairs there is a stone built living room traditionaly decorated,a twin bedded room,another bathroom with hydromassage,a fully fitted kitchen,wi-fi,TV and CD player. 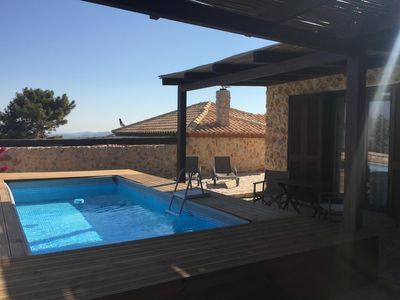 Outside are plenty of seating areas around the house,a barbecue and below is the pool terrace with fantastic views across the sea-a great place for trying to spot the schools of dolphins that often hunt in the area.Or just relaxing and watching occational boat float by. 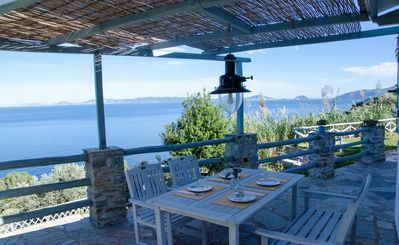 Villa Nina is a quite and peaceful retreat in a fabulous position in this unspoiled area of Skopelos island.